This article will aid you to remove Generator ClueHack Adware adware completely. Follow the removal instructions for the adware given at the end of the article. 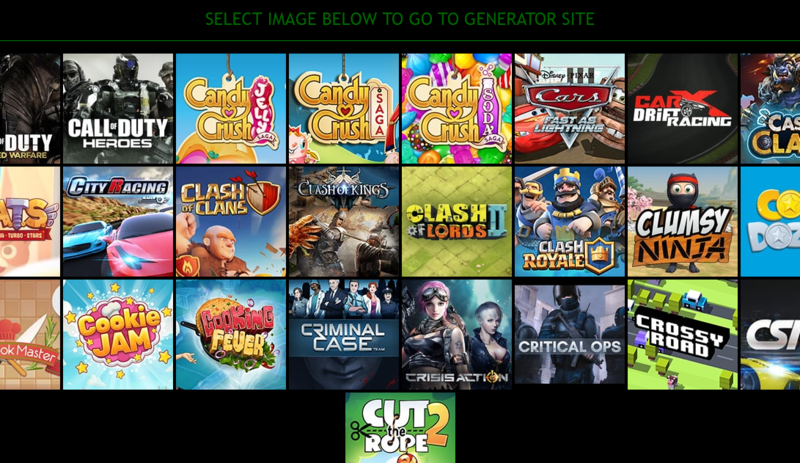 The Generator ClueHack Adware is a malware site which has a counterfeit game currency generator. By interacting with it personal account credentials are stolen and the victims can get infected with additional malware. Short Description This is a classic case of a malware game currency generator. Symptoms The users are shown a home page with links to popular games featuring the fake generator scripts. User Experience Join Our Forum to Discuss Generator ClueHack Adware. Our security analysis reveals that at the moment the hacker operators behind it utilize several different methods. At the moment one of the distribution campaigns relies on automated social network sharing via bots or compromised accounts. They are programmed to spam the profiles, tags and groups with links to the site. We have confirmed that its presence is visible on Twitter which is one of the most popular services on the Internet. Another method used by the criminals is to include the redirect code with browser hijackers. They represent hacker-modified plugins that once installed redirect the users to a malware site. During their initial infection behavior pattern the Generator ClueHack adware can be imposed. Malware Hyperlinks — They are placed in the messages posing as password reset forms, login pages or other similar titles. File Attachments — The Generator The ClueHack adware can be bundled in email messages posing as legitimate and useful software either directly or placed in archives. Infected Software Installers — They represent a common tactic used by computer criminals. They take the official installation packages of well-known software and then modify them to include the malware code. Once the victims install the relevant applicaton the adware is immediately placed as a redirect or a pop-up instance. Infected Documents — The adware site can be linked in various types of documents or launched directly using built-in commands. Example files include the following: rich text documents, presentations and spreadsheets. Once they are opened by the users a notification prompt appears which asks them to enable the built-in scripts. If this is done then adware is executed on the local machine. Different types of web scripts are the other option available to the hackers. They can redirect the users by linking it in banners, pop-ups, links and other methods. 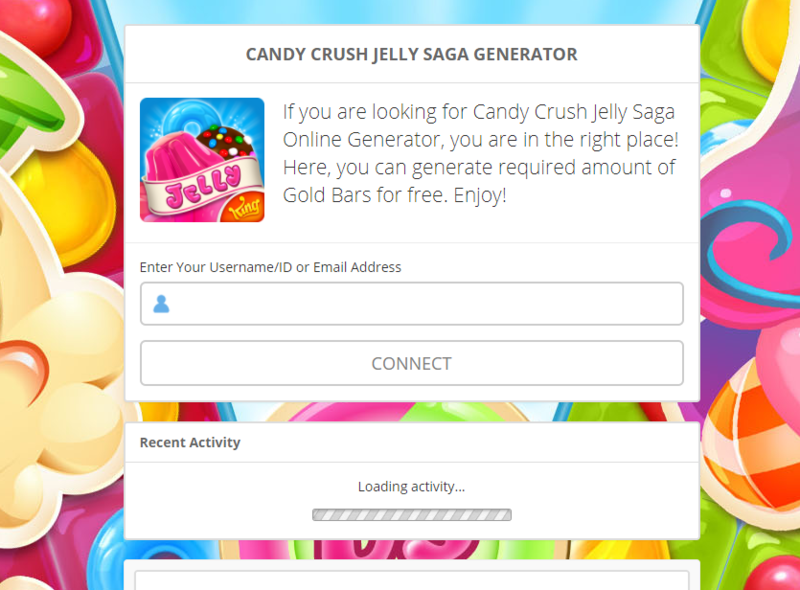 The site itself relies heavily on the fact that many computer users actually believe that the generated codes and site interactions can help them gain the game currency. Once the victims access a specific game-related page they are shown a message that asks them to enter their username or email address, as well as other account credentials. This is a classic phishing scheme that automatically harvests the login data. The majority of the games listed on their site are available on Facebook and as a consequence the hackers receive access to the social network. The criminals behind the Generator ClueHack adware have implemented a fake Facebook timeline underneath the malware login forms that looks real. However interacting with the listed (counterfeit) profiles is impossible which is a clear sign that this is a hoax. On the bottom of the page there is a link to another similar domain which signals that the site is part of a large-scale network of malware sites. By taking this into account the site can be configured in order to load malware scripts that can open up redirect pop-ups, banners and ads. Recent trends indicate propose that it is possible for the site to launch a cryptocurrency miner as well. It utilizes the available system resources in order to generate income for the operators. Sites like the Generator ClueHack adware are also an effective way of causing additional virus infections by manipulating the web browsers to install malware code like browser hijackers or redirecting the victims to a hacker-controlled download portal. To remove Generator ClueHack Adware manually from your computer, follow the step-by-step removal tutorial written down below. In case this manual removal does not get rid of the ads and redirects completely, you should search for and remove any leftover items with an advanced anti-malware tool. Such software can keep your computer safe in the future. Threats such as Generator ClueHack Adware may be persistent. They tend to re-appear if not fully deleted. A malware removal tool like Combo Cleaner will help you to remove malicious programs, saving you the time and the struggle of tracking down numerous malicious files. Threats such as Generator ClueHack Adware may be persistent on your system. They tend to re-appear if not fully deleted. A malware removal tool like SpyHunter will help you to remove malicious programs, saving you the time and the struggle of tracking down numerous malicious files. Note! Your computer system may be affected by Generator ClueHack Adware and other threats. SpyHunter is a powerful malware removal tool designed to help users with in-depth system security analysis, detection and removal of threats such as Generator ClueHack Adware. 1. Install SpyHunter to scan for Generator ClueHack Adware and remove them. 2. Scan with SpyHunter, Detect and Remove Generator ClueHack Adware. Ransomware infections and Generator ClueHack Adware aim to encrypt your files using an encryption algorithm which may be very difficult to decrypt. This is why we have suggested several alternative methods that may help you go around direct decryption and try to restore your files. Bear in mind that these methods may not be 100% effective but may also help you a little or a lot in different situations. Note! Your computer system may be affected by Generator ClueHack Adware or other threats. Remove Generator ClueHack Adware by cleaning your Browser and Registry. Fix registry entries created by Generator ClueHack Adware on your PC. Combo Cleaner is a powerful malware removal tool designed to help users with in-depth system security analysis, detection and removal of threats such as Generator ClueHack Adware. Step 5: In the Applications menu, look for any suspicious app or an app with a name, similar or identical to Generator ClueHack Adware. If you find it, right-click on the app and select “Move to Trash”. Step 6: Select Accounts, after which click on the Login Items preference. Your Mac will then show you a list of items that start automatically when you log in. Look for any suspicious apps identical or similar to Generator ClueHack Adware. Check the app you want to stop from running automatically and then select on the Minus (“–“) icon to hide it. Remove Generator ClueHack Adware – related extensions from your Mac’s browsers. A pop-up window will appear asking for confirmation to uninstall the extension. Select ‘Uninstall’ again, and the Generator ClueHack Adware will be removed. When you are facing problems on your Mac as a result of unwanted scripts and programs such as Generator ClueHack Adware, the recommended way of eliminating the threat is by using an anti-malware program. Combo Cleaner offers advanced security features along with other modules that will improve your Mac’s security and protect it in the future. Hey !, I found this information for you: "Generator ClueHack Adware Removal". Here is the website link: https://sensorstechforum.com/generator-cluehack-adware-removal/. Thank you.